This is an index page with links to our guides to the most popular journeys in Thailand. Scroll down the page to find your starting point and then click on the name of your destination. Everything you need to know about your journey and more. To search for tickets enter the stating point for your journey and the destination, as well as the date upon which you would like to travel. Simple, fast and secure online ticket booking. As well as travel in Thailand you can also use this Search Box to buy tickets for travel in Myanmar, Malaysia, Cambodia and Laos. Payment is secure and for the majority of journeys booking confirmation is instant. For most journeys there are a number of different transport providers offering different standards of service for different prices. Our easy to understand Journey Guides allow you to compare price and service where there is more than one recommended transport service available. Value for Money: Compare the cost of the ticket to the level of service. Speed: Find out which service will get you there quickest. Convenience: Find the transport option with the best departure and arrival times. From Bangkok you have a wide variety of transport options. For travel to Chiang Mai and Surat Thani (for ferries to Koh Samui and Koh Phangan), or onto Malaysia, overnight sleeper trains are a popular option although they tend to be a much slower way to travel than by bus. For international travel to neighbouring countries there are direct bus services in operation to Cambodia, Laos, Vietnam and Myanmar. Minivans are a quick and convenient option for shorter journeys such as the ones to Hua Hin and Kanchanaburi. From Chiang Mai main bus terminal there are also minibuses to Mae Hong Son (6 hours 55 min), buses to Udon Thani (11 hours 50 min), to Loei (9 hours 40 min), Khon Kaen (12 hours 50 min) and a variety of other destinations in the North and North East of Thailand. There is even a single daily direct bus bus service from Chiang Mai to Luang Prabang in Laos. Chiang Rai is located 199.6 km from Chiang Mai and 62.8 km by road from Thailand’s Northern most border crossing to Myanmar. 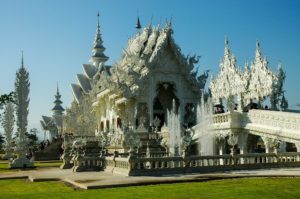 Chiang Rai has an airport served by low cost airlines like Thai Air Asia, Thai Lion Air and Thai Smile and many travellers choose to travel from Chiang Rai to Bangkok by flying. The bus journey between Chiang Rai and Bangkok takes 13 hours. The train line only goes as far North as Chiang Mai and there is no train station in Chiang Rai. As an alternative to flying, many travellers opt to travel by bus from Chiang Rai to Chiang Mai (a bus journey of 3 hours 30 minutes) and then take a train to reach their onward destination in Thailand. 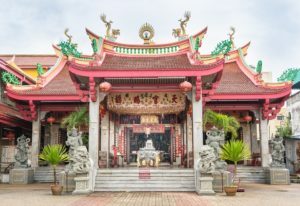 Hat Yai is the connection point for travel from Bangkok and Surat Thani by train, minivan and air for travel to and from Malaysia. The border crossings of Padang Besar and Dannok are nearby. 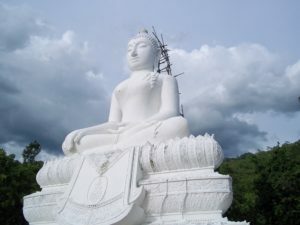 Hat Yai is also a connection point for onward travel to the Southern Provinces of Thailand and the Southern Andaman Islands such as Koh Lipe. To reach other destinations from Hua Hin there are three main transport options: the train, a bus, or a minivan. Train travel from Hua Hin is a good option if you intend to travel to Cha Am, Chumphon, Prachuap Khiri Kan or Surat Thani. 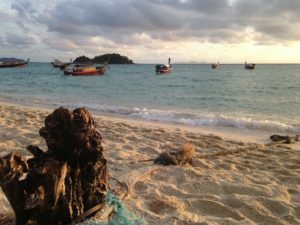 Bus travel is the best option for travel to the three islands of Koh Samui, Koh Phangan and Koh Tao. There is also a direct service from Hua Hin to Suvarnabhumi International Airport in Bangkok. Minivans are the quickest and easier form of transport from Hua Hin to Bangkok. As well as a bus there is also a train to Bangkok. Other destinations on the same train line include Pak Chong, Nakhon Ratchasima and Nong Khai near the border crossing to Laos. There are also frequent departures from Khon Kaen bus station to other popular destinations in north of Thailand such as Chiang Mai and Chiang Rai. Taking a direct bus service is much quicker than travelling via Bangkok. Ferries depart from Koh Phangan to Koh Samui, Koh Tao, Donsak ferry pier and Chumphon ferry pier. 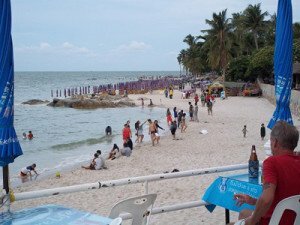 From Koh Phangan to reach other destinations on the mainland, such as Bangkok, you need to go either Donsak ferry pier and onto Surat Thani town to catch a bus, minivan or train, or alternatively go to Chumphon pier to catch a bus or train from the station in the town. For an easier journey you can opt to pay a little more for a direct service. There are ferries from Koh Phi Phi to both Phuket and Krabi. 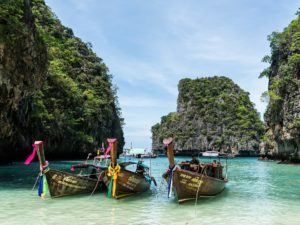 The ferry ticket price to Krabi is cheaper than going to Phuket and Krabi is much more convenient as a starting point for a journey in Thailand. 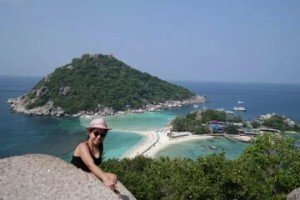 To travel from Koh Phi Phi to the Gulf of Thailand islands such as Koh Samui, Koh Phangan and Koh Tao you will need to take a second ferry journey from one of the piers in Donsak, or a Night Boat from Surat Thani. 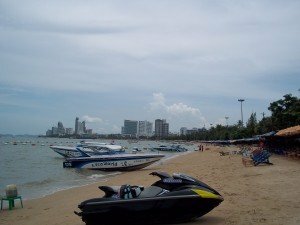 All journeys from Koh Samui to destinations on the mainland of Thailand start with a ferry journey to pier near to Surat Thani or a pier near Chumphon to the north of Koh Tao. Once on the mainland from both Surat Thani and Chumphon towns you can catch a train, bus or minivan to most places in Thailand. 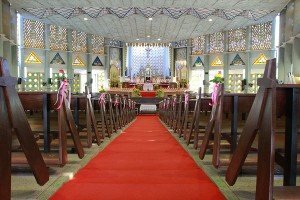 For travel to the Andaman Coast we recommend travelling via the ferry ports in Donsak near to Surat Thani and taking a connecting bus or minivan service direct to your final destination and you avoid the 90 minute bus journey from the ferry pier into Surat Thani town to catch a bus or minivan. 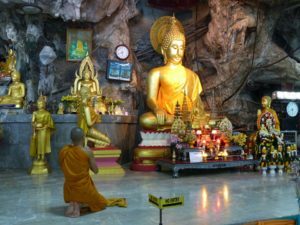 For Bangkok, Hua Hin and other destinations to the north of Koh Tao for the shortest journey take the ferry to a pier near Chumphon and then catch a bus, minivan or train from Chumphon town. 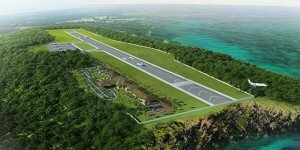 If you are headed to destinations to the west and to the south of Koh Tao such as Phuket, Koh Phi Phi or the Malaysian border to apply for a visa then take the ferry to Donsak and catch a bus, train for minivan from Surat Thani city, a 90 minute bus journey away. If you travel by a direct service the bus connects with the arriving ferry and you get to your destination a lot quicker. From Krabi Provincial Transport Station, which is 2 km north of Krabi town, you can catch direct bus and minivan services to locations across Thailand such as Nakhon Ratchasima and Surat Thani. Direct services to Koh Samui, Koh Phangan and Koh Tao leave from the centre of Krabi town. Ferries to Koh Phi Phi and Phuket leave from Klong Jilard pier which is 1.5 km from Krabi town. Chanthaburi can also be reached from Pattaya by either taking a minivan from the stop on the Central Pattaya Road or a bus. Minivans depart every hour during daylight hours. The bus service to Chanthaburi is operated by the Phet Phrasert Company. These bus services to Chanthaburi departs at 03.45 and 05.30. The journey takes 3 hours, costs 207 THB and departs from Phet Phrasert Company office at 240/15 Sukhumvit Road in Pattaya. Sarasin Bridge connects the island of Phuket to mainland Thailand. This is the route that the bus companies operating out of Phuket’s main bus terminal take to destinations across Thailand such as Pattaya and Ranong near the Myanmar border. 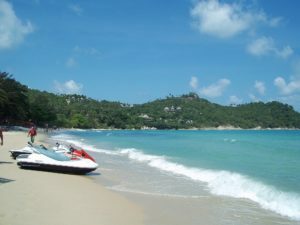 There are also a number of ferry services connecting Phuket to Krabi for the shortest journey to Koh Samui, or further to destinations such as Koh Lipe. 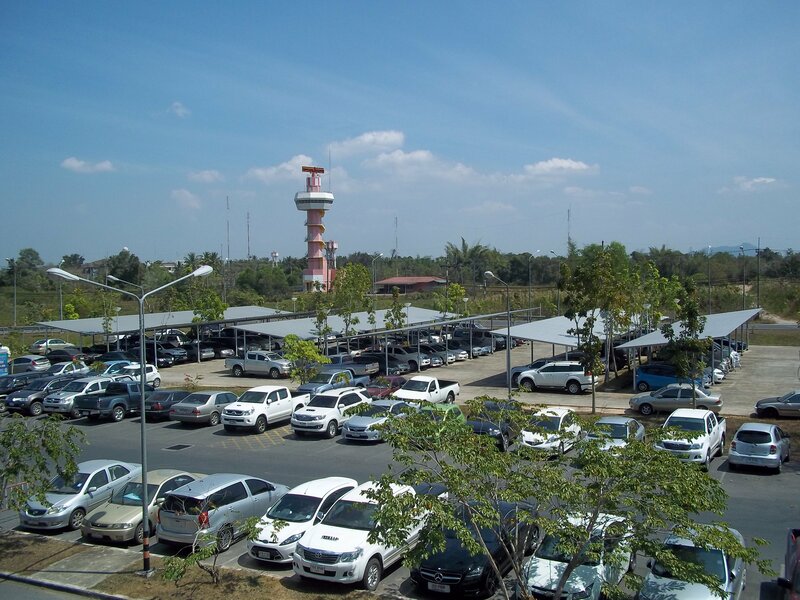 Buses and minivans to other destinations either leave from Surat Thani Bus Station outside of Surat Thani city near Central Plaza or from Talad Kaset Bus Station in Surat Thani city centre. 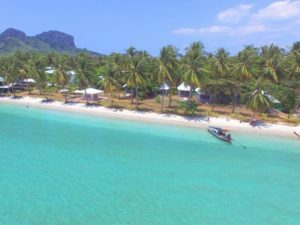 The vast majority of foreign visitors who come to Trang do so because it is the connection point between the Thai railway network and ferry services to the islands in Southern Andaman sea such as Koh Muk, Koh Ngai, Koh Libong and Koh Kradang. 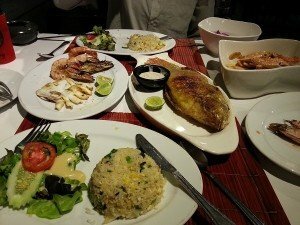 Trang is also an interesting destination in its own right and is popular with Thai tourists, particular for its food. Trang has strong culinary influences from China and Malaysia because of the large immigrant populations who settled there during the 19th Century. The town’s Dim Sum restaurants are very popular. The bus and train stations are close each other in Udon Thani and the travel connections to other destinations in Thailand are very good. There are overnight trains to Bangkok and up to Nong Khai (for the Laos border crossing point). Direct bus services to Bangkok and Chiang Mai and also onto destinations further away such as Nakhon Si Thamarat and Hat Yai are also available. 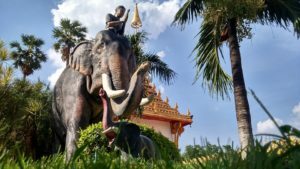 Ask a Question about Travel in Thailand?